Great family home! Offering almost 1,600 sq.ft. of living area in Lehigh Acres. Well maintained home. 3 bedroom 2 bath 2 car garage home featuring split bedroomFloor plan, with volume ceilings, breakfast bar, and comfort space. 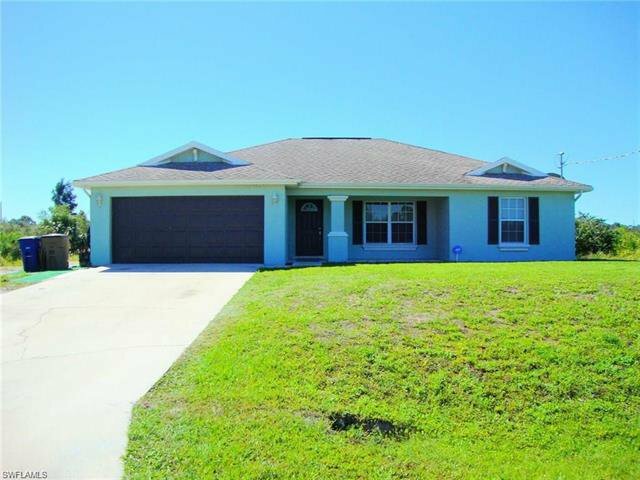 The home is positioned lovely to suit its great garage size with a huge drive way. A must see. The A/C was installed 2016. Listing courtesy of Rossman Realty Group Inc. Selling Office: Robert Slack Fine Homes LLC.